Paperback, 6 x 8 in. / 184 pgs / 202 color. 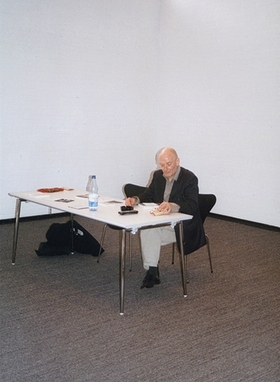 Fluxus writer and artist Tomas Schmit died in Berlin in 2006. At the time, this previously privately-published inventory of his work was left on his computer, referred to as a “Skeleton” and an “apparition.” The sequence of texts, font and line spacing are exactly as he left them. 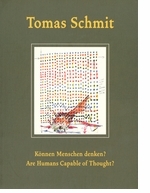 TOMAS SCHMIT: ARE HUMANS CAPABLE OF THOUGHT? Foreword by Julia Friedrich, Kasper König. Text by Stefan Ripplinger. FORMAT: Paperback, 6 x 8 in. / 184 pgs / 202 color.